It’s 4AM – time to start my longest ride ever. 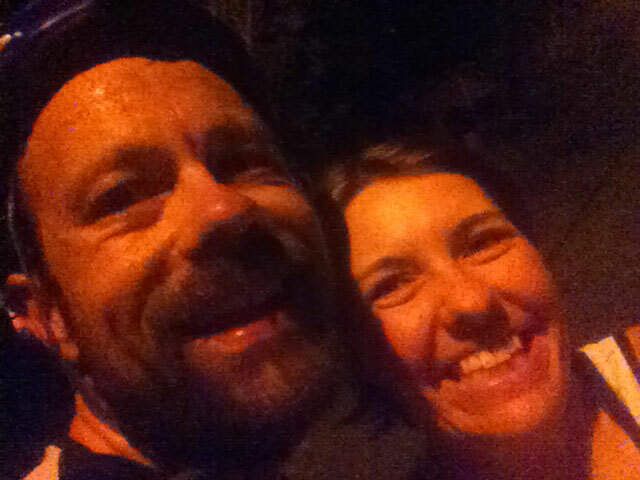 At midnight, celebrating with @beautifulwife the end of a very long day of riding. These two pictures above bookend my longest ride ever with the most climbing ever. Getting up at 4AM and then riding all the way until midnight with only a few breaks along the way. Even though my grand total was exactly 248.84 miles and 42,200 feet of climbing, my Garmin lost 24 miles of GPS coordinates. So only 225 miles and 38,000 feet of climbing counted on Strava towards the climbing competition. I’m still waiting for official results, but I believe it may have been just enough to win the “one-day challenge within a challenge” for the Rapha race bag given to whoever climbs the most on Wednesday. I rode laps around my neighborhood for the first hour or so until it got light enough for me to venture out onto the main roads. I kept it nice and slow on the laps since I was hand carrying a flashlight and because I knew that I had a long day ahead of me. I was really, really sleepy and had a lot of negative thoughts about how on earth I was going to last 20 hours of riding. The repetition of the 1K lap along with the really sketchy corners in the dark didn’t help with my motivation. 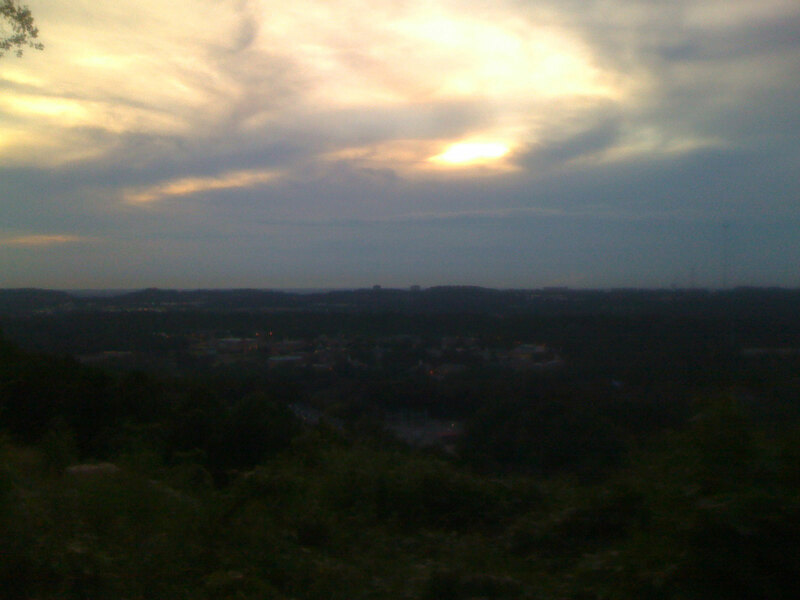 But then I started to notice that the sky was getting lighter. Each 2.5 minute lap would see the sky brighten ever so slightly until I could see the sketchy corners clearly and could start going a bit faster. This was all it took to get rid of the negative thoughts, and I was ecstatic by the time I headed out of the neighborhood. My first destination was South Cove to get in some super fast descents before traffic started to pick up. 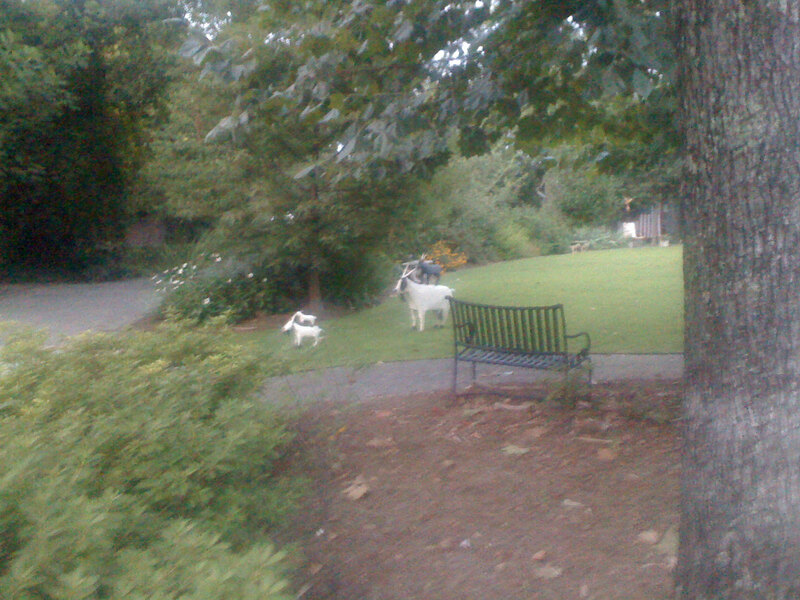 There were people out jogging and walking (seriously, how do you people get up that early on a regular basis??? That is some serious motivation). But the nice thing about the S Cove Dr descent is that it is so steep that it is rare for anyone to try to walk or jog up it. So I let it all fly and hit these max speeds approaching 60mph just about every lap. After the S Cove loops, I went over to Skyland Dr to do my first set of roller coaster hill repeats. Unfortunately, I nearly t-boned a German shepherd that gets out of its yard occasionally on the first descent down the roller coaster. I decided to come back later and opted instead to head on over to Vestavia Dr and then back home to say good morning to the family before Kristine left for work and the kids left for a day of playing at Grandma’s house. After a long lunch trying to wait out the thunderstorm, I had to eventually head back out in the rain. I had just made it over to Mountain Brook and started climbing over there when my Garmin shut off – went completely blank. 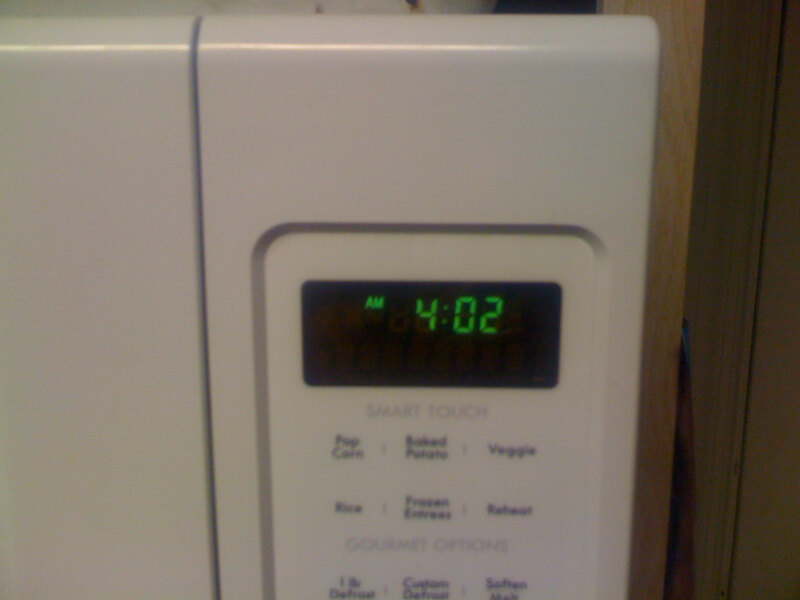 I turned it back on, but as soon as it made it past the startup screen, it would shut off again. I did this several times – almost in a panic because here I was 8 hours 48 minutes into my ride and I was thinking that the Garmin might be in the process of losing the ENTIRE RIDE. So as much as I wanted to do the entire ride in a single file, I decided to try to reset the Garmin while it was on the “picking up satellites screen”. This worked AND it saved the entire ride. So that is why I have annotated the screenshots at the end of this post with the approx total time and total elevation gain. 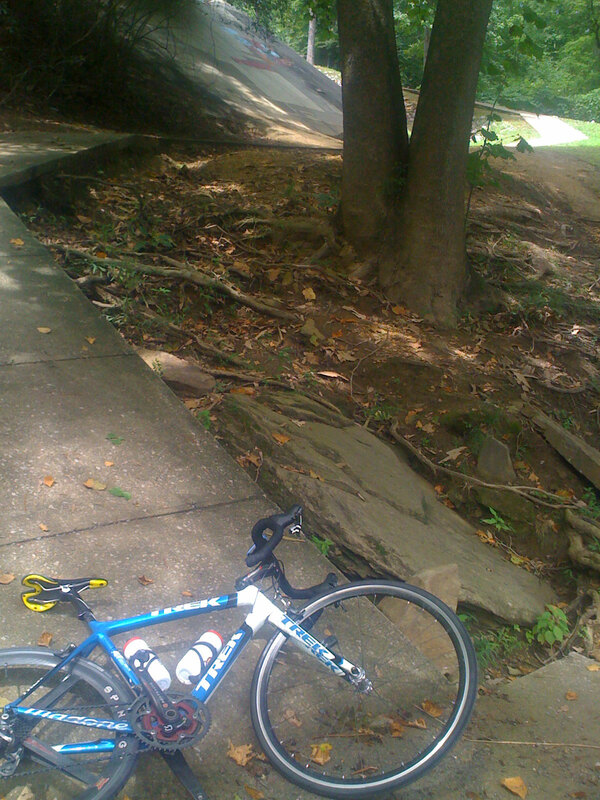 Then it was back down the Irondale side of Karl Daly to cut through the Irondale neighborhoods back into Mountain Brook. There is a steep descent that leads to two traffic lights. I normally turn at the second light – rarely missing the first light. But today the first light was red and I decided to go ahead and go through it since there was no cars coming out of the shopping center where I was turning left. Not a good decision, especially since there was an Irondale police officer at the intersection. He came after me in the shopping center and was absolutely furious asking if I had a death wish. He ran my social security number through the system with the dispatcher since I didn’t have any ID, gave me a stern talking to. Thankfully he didn’t give me a ticket, and I learned a lesson – obey the law. I was very respectful to him, and told him that it was a mistake, a bad decision, and I shouldn’t of done it – but he was still really angry even several minutes later after calling in my social security number and everything. The only other time I’ve gotten pulled over while biking is when I was drafting an unmarked state trooper on Hwy 280 towards Lee Branch. I didn’t realize it was a state trooper because I was focused on the rear end of the car and brake lights. He also was really angry when he pulled over into a bank after turning his lights on, but after a couple minutes he cooled off and we ended up joking together about the whole thing. This officer, on the other hand, was really upset. Don’t mess with the law in Irondale, folks. On the hill past our house. Heavy training wheelset doesn’t make for good climbing, but it makes for GREAT descending! A couple hours of climbing through Irondale and Mountain Brook and I was home for refueling again. Kristine was home from work, and the kids were home my parents’ house so they came out to cheer me on a couple laps. 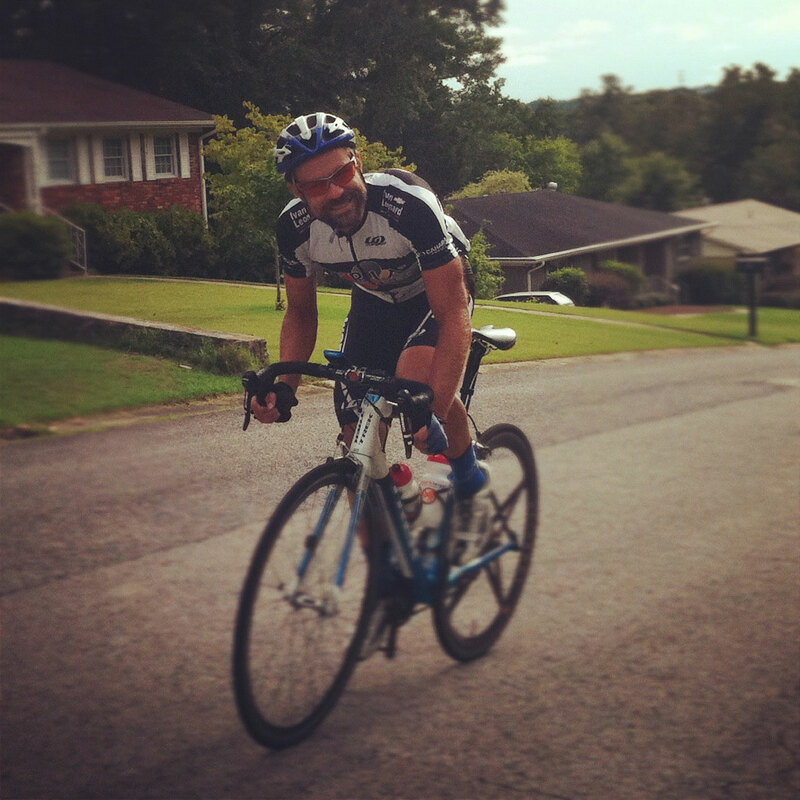 This was a really short stop at home – just to grab a quick bite to eat and refill my bottles before heading back over to Hoover / Green Valley / Bluff Park / Vestavia for some last minute climbing while there was still daylight. 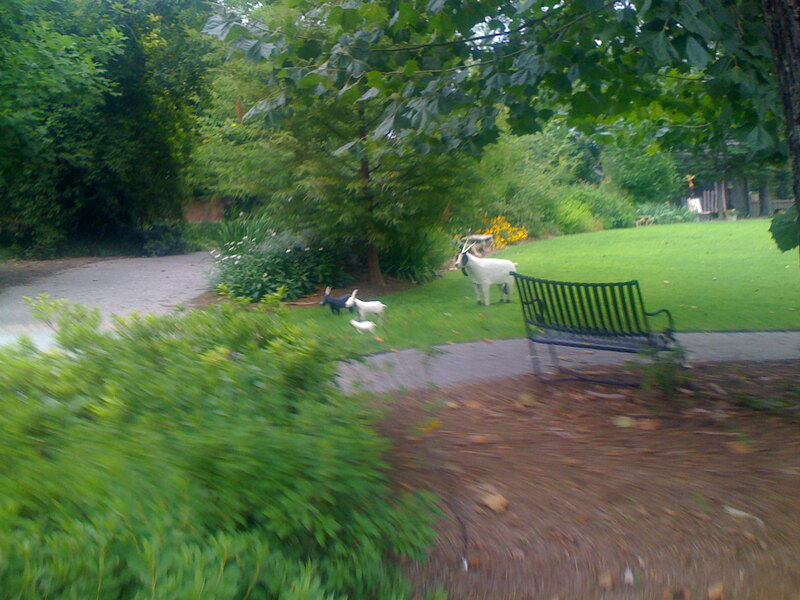 The Vestavia Dr area is a favorite of mine along with these mountain goat statues at the very top of the Vesclub descent. 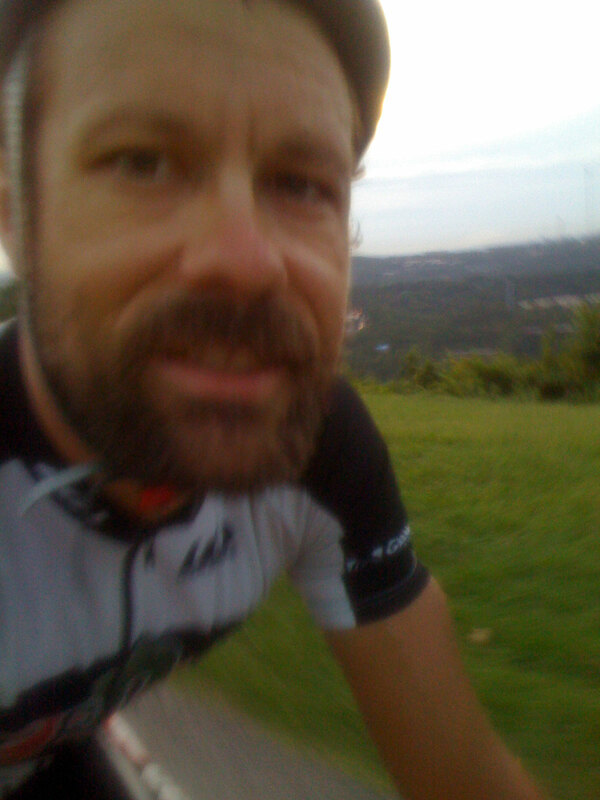 I ended up doing the Vesclub descent well after sunset – then I realized that instead of being stuck doing laps in my neighborhood for the rest of the night – I could do laps over in Countrywood and Dolly Ridge. I discovered this when I had to ride home in the dark from that area with no light – and it felt very safe so after a long stop for dinner with the family, Kristine kicked me out of the house telling me to go get the last 38 miles I needed for 250 miles for the day. I headed out needing to average a fairly high speed to do it. I got more and more motivated as I got closer to midnight. But at 11:15 PM (about 8+ hours into my second ride of the day and only 45 minutes left to ride), my silly Garmin cut off again. This time, unfortunately, I lost everything from after dinner – about 24 miles and 4,000 feet of climbing. I didn’t realize it, though, because the ride was correctly listed in my history as 126 miles. It wasn’t until I uploaded it to Strava that I realized the GPS coordinates were not stored so Strava would only recognize 102 miles of that ride. Even though I didn’t know all of this at the time, the second power outage on my Garmin really cut my motivation. I was trying to do some math in my head to figure out if I was going to make 250 miles, given that I needed 14 more miles and had less than 45 minutes to do it. I incorrectly calculated 30mph when in fact it was only a bit less than 20mph. So I cruised on home no longer trying to hit 250 miles, but instead trying to hit 400km which is about 248 miles. I figured I could do that … but as I started to do laps with Kristine cheering me on and taking pictures at 11:30 in our neighborhood, I recalculated and figured I might be able to make it all the way to 250 miles. This renewed my motivation in a big way, and I really hit it hard – each time up the hill in front of our house, I sprinted like the end of a night criterium. When all was said and done, though, I only made it to 249 miles as the clock rolled over to 11:59PM – which I decided would be my stop time. Then I spent the next 3 hours trying to figure out how to merge all three ride files into one file – and to figure out why the total was only showing up as 225 miles. Eventually, I figured it all out – but there was nothing I could do to recover the missing 24 miles. Grrrrrrr. 249 miles, 42,200 feet of climbing, 1 crazy hard fun cycling adventure! Easy recovery day today started out with a short ride to the grocery store with Josiah. My forearms were the sorest part of my body from all the shifting on my long ride on Wednesday. It was really difficult to shift by the end of the day! We bought a few things and headed home for a nice relaxing day watching the tour de france. In the early afternoon, I headed out for an easy ride and ran into somebody who lives in the neighborhood across the street from us. 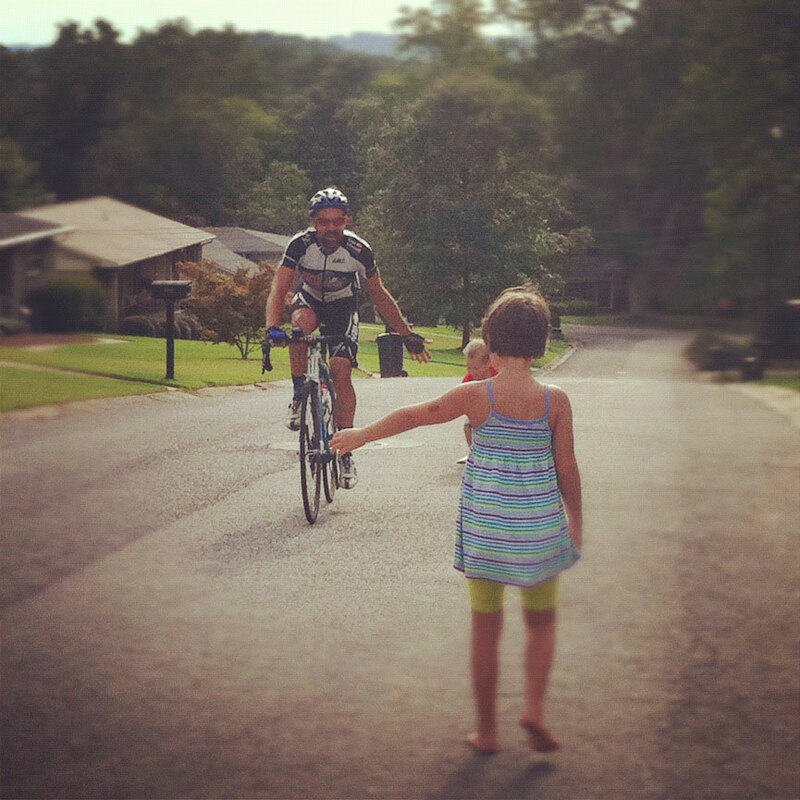 We rode together all the way through Mountain Brook to the Irondale turnaround and back – before I took off to head to my brother’s house for a birthday dinner. After dinner, I headed back home and did some more climbing in the dark. Legs were starting to feel better by the end of the day. There was a huge thunderstorm blowing up just to the north and I managed to snap a picture of some lightning (although I only got the afterglow). The most interesting thing that happened during the ride was early on when I passed this guy only slightly faster than he was walking up a hill carrying a big log on his shoulder back up to his truck. He asked me “Are you doing this for fun, or because you have to?” I thought for a second and then said “A little bit of both”. And then I proceeded to spend the next hour of my ride thinking about how complex a question that was that he asked me and how complex an answer could be given – but was boiled down to “a little bit of both”. I was thinking I would go into more detail on my blog post about the answer to that question – but it requires more thought and I’ve spent too long on this one already! My legs were still feeling tired today – wrists/forearms all better. I really wandered on this ride although I basically did all of my normal routes hitting the Green Valley roller coaster loop several times. The only thing out of the ordinary was the Hwy 31 sidewalk climb – which I normally only do on my commutes into work. It has been 2 months now since the end of the semester so it was fun to revisit a climb I haven’t done in a couple months. 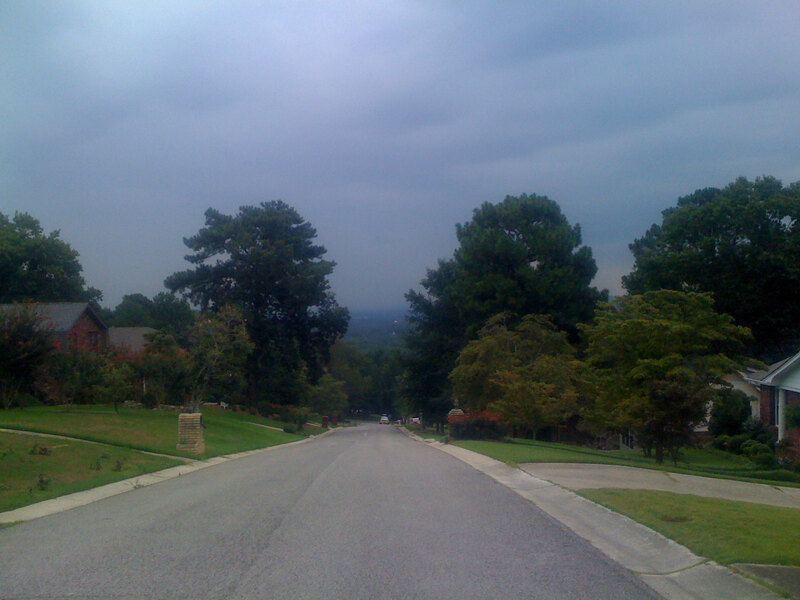 Plus, I wanted something easy and steady towards the end of my ride, and yet I wanted to go snap some more photos from the top of Vestavia Dr. The mountain goats didn’t disappoint as they were in a new position today. Finally, here is a gallery of photos and screenshots. Most of these are from my ride on Wednesday – but the ones from Thursday and Friday I’ve tried to pick out and label as such. Also, the Garmin screenshots are in order starting before sunrise and ending after dark. On the bike photo 3 min, 56 seconds after the Garmin crashed and I had to start a new ride. I was in panic mode wondering if I had just lost the first 9 hours of the day. Thursday ride – view from Heatherwood Ridge looking towards Shades Mountain, Red Mountain. 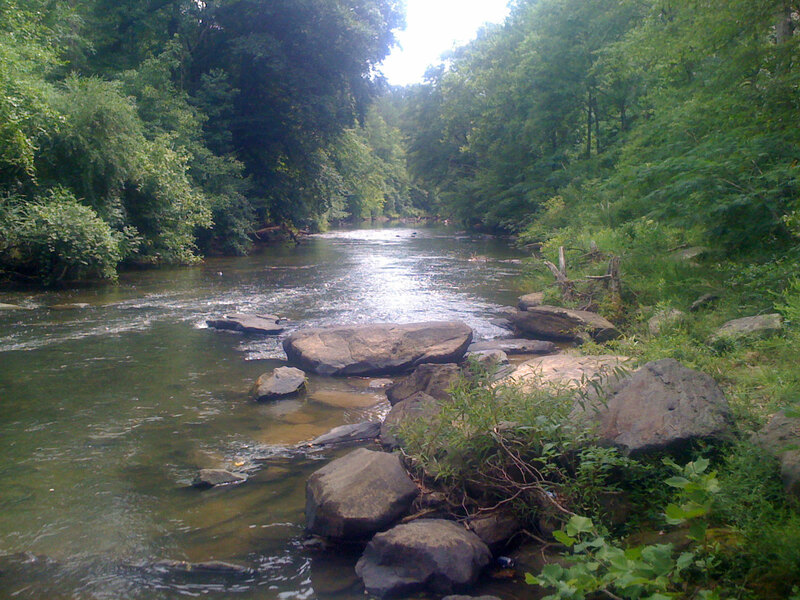 The Heatherwood Ridge is a Cahaba River bluff that rises about 200 ft. This is an abandoned golf course now. 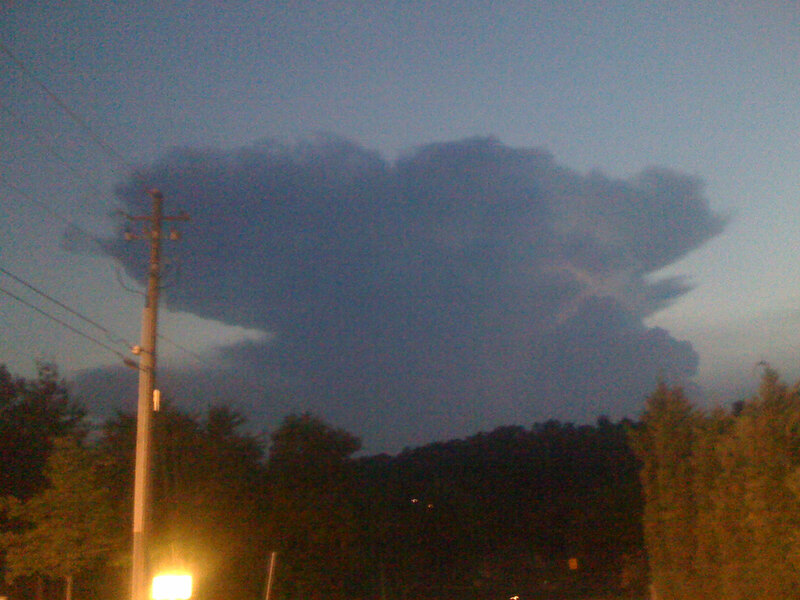 This entry was posted in Training and tagged climbing, photos, strava, videos on July 20, 2012 by kartoone. 🙂 thanks, the time went by really quickly for me – so it didn’t feel as crazy as i thought it would by the end of the day. i think it helped to stop back by the house 4 times. Inspiring story… thank you for documenting and congrats on your accomplishment! Well done, great effort. That’s two and a half time my best effort for climbing in a day. I think Rapha should hit Garmin (or Strava) up for a new Garmin unit for you. It’d great that you took the time to document it all too. i was curious who would do the most climbing of this challenge. you did waaay more than i could have imagined…great job! i might be able to recover the time your garmin lost. i’ve done it for friends who have had similar types of glitches and garmin spaz-outs. if you’re interested, email me the file. i’m glad they considered you equal with nate, since it seemed like he just wanted to go all out on wednesday. you truly earned it! Thanks Kt, and thanks for the offer to look at the .FIT file. Don’t spend too much time on it though, because I spent a couple hours trying to get the data out and I’m pretty sure there is a two hour stretch that didn’t get recorded.